What impact will the final phase of the Falsified Medicines Directive have on securing drugs and treatments in the pharma supply chain when it comes into effect in 2019? In less than a year, the final phase of the Falsified Medicines Directive (FMD) will be enacted across the European Union (EU), requiring all prescription drug packaging to carry a bar code and an anti-tampering device. The ruling, which comes into force on 9 February 2019, is designed to tackle the growing – and costly — problem of falsified medicines and the risk they pose to public safety. But in a world of supply and demand, are such measures only looking at half of the problem? And what can the industry learn from its animal health cousins? Figures from the EU Intellectual Property Office Observatory (EUIPO) show the EU pharmaceutical industry’s 40,000 enterprises lose €10.2 billion a year to falsified medicines. That’s 4.4% of overall sales. The report, The Economic Cost of IPR Infringement in the Pharmaceutical Sector, also estimates it leads to the loss of 37,700 jobs every year. While the UK’s losses of 3.3% of sales are below the EU average of 4%, it is still a significant €605 million problem that costs 3,223 jobs annually. Quite simply, falsifying medicines is big business. In 2015, Interpol coordinated a global operation to target the criminal gangs behind the sale of fake medicines through illicit online pharmacies. Under Operation Pangea VIII, 156 people were arrested and $81 million-worth of illegal drugs were found. In the UK, police and the Medicines and Healthcare Products Regulatory Agency (MHRA) seized 60,000 units of false medicines, worth around $2.4 million, from a seemingly legal pharmacy which was connected to a website. And falsified medications are not only a threat to intellectual property; they contain low-quality ingredients, incorrect doses or even the wrong active substance altogether. EUIPO’s Executive Director, António Campinos, said: “We know through analysis done by the World Health Organisation (WHO) that both generic and innovator medicines are falsified, from cancer treatment products to inexpensive pain treatments. From February next year, all prescription drugs sold in the EU will be required to carry a 2D barcode and anti-tamper device on the packaging. It’s the latest attempt to tackle the supply of falsified medicines, defined by the European Commission as ‘fake medicines that pass themselves off as real, authorised medicines’. ‘There is an alarming increase of medicinal products detected in the union which are falsified in relation to their identity, history or source,’ reports the directive. At the same time, the MHRA has had a number of successes with its Anti-Counterfeiting strategy which aimed to ‘markedly increase the risks to those perpetrators involved in the manufacture, distribution and supply of falsified medical products in the UK’. But it’s a growing global problem affecting a global industry, and worldwide public health. As such, the impact of legislation and enforcement can only be limited. ‘Perceptions and behaviours of European citizens regarding intellectual property (IP) and counterfeiting and piracy were also assessed as part of an EU-wide survey. ‘This survey revealed that, although citizens recognise the value of IP in principle, they also tend to justify infringements at individual level in certain cases,’ it said. A new report from Health for Animals, which represents the global veterinary pharmaceutical industry, recognises this. It points to the importance of positioning the illegal medicines trade as a safety concern, rather than a commercial threat. ‘The fight against illegal medicines requires approaches that rely not only on their interception and prosecution of the perpetrators, which are inevitably limited in their scope, but also on prevention to reduce and contain the size of the counterfeit/falsified market,’ explained the report, Illegal Veterinary Medicine: Impact and Effective Control. Tackling the sector’s annual $1-2 billion problem, which has been significantly boosted in recent years by the rise of online sales, it said, relies on the industry taking public opinion with it. The report’s four-plank plan is built on the need to increase awareness and deliver an effective narrative that makes the safety of animals, people and society synonymous with the fight against illegal medications. ‘Equally important (to legislation) is making information and case studies of illegal veterinary medicines available for collation and publication by third parties,’ it went on. Rightly or wrongly, the pharmaceutical industry sometimes suffers from something of a profit-led reputation. Recent controversies over pricing increases in the US have not helped. As such, public perceptions on falsified medicines may be based on concerns over price, rather than safety. The animal health approach of turning the public gaze onto the very real human consequences may, therefore, be a sensible solution. Falsified Medical Products Strategy (2012-2015). (2012, March). 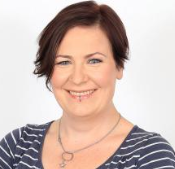 Amanda Barrell is a freelance health and medical education journalist, editor and copywriter. She has worked on projects for pharma, charities and agencies, and has written extensively for patients, healthcare professionals and the general public.